The Scottish government has said it "cannot support" underground coal gasification, after a new report raised environmental concerns. Energy minister Paul Wheelhouse told MSPs that the gas extraction technique "poses numerous and serious environmental risks". He said it would have "no place in Scotland's energy mix at this time". Green groups welcomed the news, but the Conservatives said they were "deeply disappointed". Mr Wheelhouse said separate reports on hydraulic fracturing, or fracking, would be published after the parliamentary recess, with a consultation on that technique to follow. UCG is a method of extracting gas from coal seams that are too deep underground to be mined using traditional techniques. Energy firm Cluff Natural Resources had planned to build the UK's first deep offshore UCG plant at Kincardine in Fife, which would have extracted gas from coal seams under the Firth of Forth. But the plans were on hold while the Scottish government waited for an independent examination of the technique from Professor Campbell Gemmell of Glasgow University. UCG licences in the Firth of Forth and Solway Firth were also held by firm Five Quarter, although the company collapsed earlier this year. Image caption Paul Wheelhouse said UCG "poses numerous and serious environmental risks"
Prof Gemmell's report said it would appear logical "to progress toward a ban" of UCG, due to a history of incidents of pollution elsewhere and risks of impacting on greenhouse gas emissions. Mr Wheelhouse said: "Having considered the report in detail, it is the Scottish government's view that UCG poses numerous and serious environmental risks and, on that basis, the Scottish government cannot support this technology. "Accordingly, UCG will have no place in Scotland's energy mix at this time." The Scottish government said it would continue to use planning powers available to it to ensure UCG applications do not receive planning or environmental permission. The minister has also written to the UK government to request that it issues no further licences for the technique in Scotland, and asking for existing licences to be revoked. The UCG process has been around since the 19th Century, but is only now becoming commercially viable thanks largely to technological developments and the rising price of gas. Its supporters argue it is a new and cleaner way of extracting the estimated 85% of the world's coal reserves that are too deep to mine using traditional techniques. The process involves pumping oxygen and steam through a small borehole into the coal seam to produce a small and controlled combustion. Unlike coal-bed methane, therefore, the actual coal is converted from a solid state into gas. The hydrogen, methane, carbon monoxide and CO2 are then siphoned off through a second borehole. According to Dr Harry Bradbury, founder and chief executive of UK company Five-Quarter, this process results in 20% of the CO2 produced from traditional coal mining. 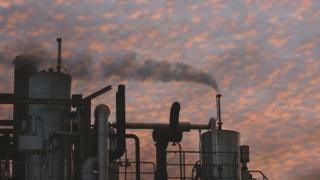 But environmental campaigners have claimed UCG is a risky and experimental technique, with a "very chequered history" around the world. The move was welcomed by green groups and some political parties. Friends of the Earth Scotland said the decision was "a victory for people power". Head of campaigns Mary Church said: "Setting coal seams alight under two of our major Firths was always a reckless idea and today the Government has listened to communities and put an end to this risky industry." And WWF Scotland said it was "great news for the environment", voicing hopes that ministers would also ban fracking. For Scottish Labour, Claudia Beamish welcomed the move and also called for all other unconventional extraction techniques to be banned. Green MSP Mark Ruskell said the government had validated the concerns of communities, calling for amendments to planning policy to make the block legally watertight. And Lib Dem Liam McArthur said allowing UCG "would have been a backward step as we work to cut emissions". But the Scottish Conservatives said they were "deeply disappointed" by the move, with energy spokesman Alexander Burnett calling it "yet another missed opportunity". He said: "These technologies could create thousands of jobs, boost the economy and lower future energy bills. "The SNP is at great pains to say how different fracking and UCG are - perhaps their biggest similarity is the SNP's dogmatic objection to them both. "If we don't start embracing these technologies, we risk getting left behind altogether." And Cluff Natural Resources said it was "obviously disappointing", noting that "we have no doubt that UCG will be developed elsewhere in the world and the opportunity for Scotland to benefit from first mover advantage will have been lost". The news comes on the same day as the UK government gave the go-ahead for horizontal fracking in Lancashire, in what is seen as a landmark ruling for the shale gas industry. Communities Secretary Sajid Javid has approved plans for fracking at Cuadrilla's Preston New Road site at Little Plumpton in Lancashire. But second site, Roseacre Wood, has not yet been given the green light amid concerns over the impact on the area.